Fenders: Full Front and Rear Black. Carrying Capacity: up to 250 lb. Please Note: Our bikes are custom built. Shipping charges will be calculated AFTER your order is received by our staff. You will receive an email within 48 hours to inform you of the shipping charges and overall total for your order. CLICK HERE FOR A SHIPPING COST ESTIMATE. Please select your rear storage options. The Worlds Leading Organizations Trust WORKSMAN To Do The Job Right! 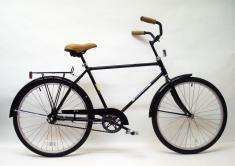 Worksman Cycles are Made in the USA using Domestic and Imported Parts. Copyright © 2019 Worksman Cycles. All Rights Reserved.